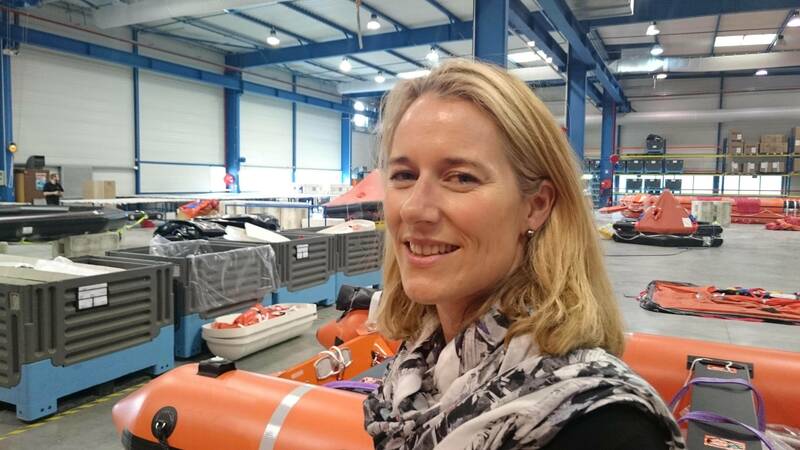 Nadia Delaoutre-Pollato, the recently appointed general manager of SurvitecZodiac at Chevanceaux, France, has announced the completion of a major factory modernization. Located in the heart of France’s cognac-growing region, the factory is the principal manufacturer of large escape slides and life rafts for Survitec Group. 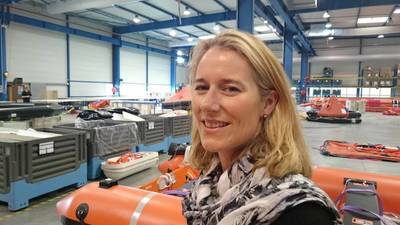 Nadia Delaoutre-Pollato was promoted to the position of general manager from her post as financial director and is now responsible for an important element in the Survitec Group’s product portfolio. Under the direct supervision of plant manager Francois Dureau, the revisions to the factory’s operation were initiated to enable it to operate with just-in-time manufacturing techniques. These are already enabling cost savings and production improvements relating to productivity and quality to be achieved. The SurvitecZodiac factory at Chevanceaux is one of the most modern in Survitec group and covers a working area of 6,500 square meters and employs around 90 people skilled in the craft of liferaft and escape slide manufacture. The company uses a number of unique cutting and manufacturing tools that it has developed to meet its own specialized requirements. It features floor areas that can be raised or lowered to assist with production and it is also capable of lifting and maneuvering very large inflated liferafts and escape slides that may be more than 20 meters long. The factory is also equipped for conducting high and low temperature testing of new products and for the handling and safe storage of high pressure gases. The medical supplies that are installed aboard the company’s liferafts also need specialized storage and control which adds to the broad and complex demands on management at the Chevanceaux factory. Despite the factory being located in the Cognac region of France where summer temperatures can often be extreme, the entire workshop area is temperature and humidity controlled to ensure worker comfort and to maintain the correct curing temperature for the adhesives used in liferaft manufacture. This benefits customers further by ensuring that quality is guaranteed and by avoiding production and delivery delays that might be caused by extreme temperatures bringing output to a standstill.